Researchers studied the sneeze in the hope of finding how to stop infectious respiratory diseases from spreading. 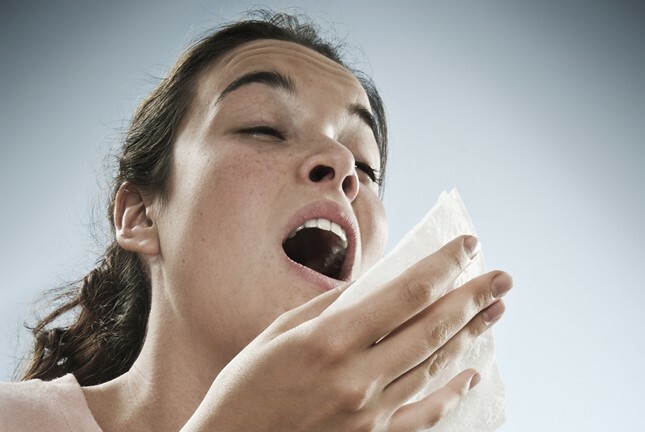 From a scientific point of view, a sneeze is a powerful explosion that sends out hot air filled with moisture. The phenomenon has been the subject of research for fluid dynamics physicists. The slow-motion video of a sneeze was published this week as a proof of how complex such a mundane and a simple fact of life may be. The respiratory infections are the most spread types of diseases in the world. They can move from one person to another through sneezes and coughs. These violent emissions can help scientists prevent contamination and microbe dispersion from the sick person or a contaminated surface. The simple act of sneezing can involve complicated physics. The hot and humid air that comes out is filled with droplets. The stream of air is turbulent; it has eddies and swirls that move at high speed. The movements of the air coming out are influenced by factors such as the temperature, the moisture and the airflow from a room. The researchers discovered that the sanitation measures concerning a sneeze are just educated guesses and do not rely on any objective facts. Until now, it was thought that a distance of a few feet from a sick person would be sufficient to protect from the microbes of a sneeze. However, the physicists discovered that the tiny droplets coming out from a sneeze could travel through the room in a few seconds. The droplets can stay out in the air for many minutes before dissipating. The researchers are amazed that the human body can produce such an explosive flow of droplets. While a sneeze can be very useful in cleaning the sick person, it is also a perfect method to colonize the viruses and pathogens to other people. The scientists used high-speed photography to determine the path of a sneeze. The study started with healthy sneezers, but now the researchers want to monitor the way microbes move through the act of throwing away hot and humid air. Volunteers that had symptoms of flu or a cold were invited in a room with controlled airflow, moisture, and temperature. The aim is to understand how the droplets and the microbes circulate in a room. The researchers want to find how to change the airflow in a hospital room in order to protect the visitors and the medical staff from contagion. In time, they will make risk maps for contamination, and find the optimal distance that protects a person from the propagation of microbes. The first recommendation is to sneeze into the elbow, the explanation being that the cloud’s momentum will be reduced, and the droplets will be stopped from traveling too far.